Avery Weigh-Tronix & Salter Brecknell have combined years of precision weighing esperience with an economical alternative for what professionals require from a precision balance balance. 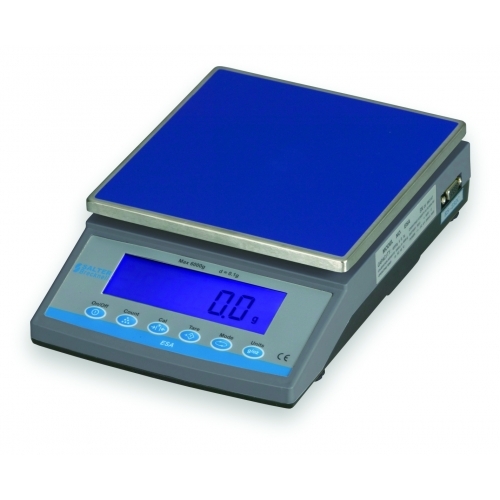 With excellent featurest and simple functionality, the Salter Brecknell ESA Precision Balance series is the sensible response to most requirements, in any market sectors that require accurate precision weighing solutions. The Salter Brecknell ESA series balances are an excellent quality balance at an extremely affordable price. All versions come as standard with a durable plastic housing case and an AC adapter. The Bi-directional RS232 interface is optional.